The living dead want you to watch "Homecoming". Easily one of the most divisive pieces of horror entertainment in the last five years, and not even for the usual reasons. The controversy over “Homecoming ” stems not from violence or misogyny, but from its political message. To me, the best horror is always the tale that works on more than just a superficial level and “Homecoming” does just that. 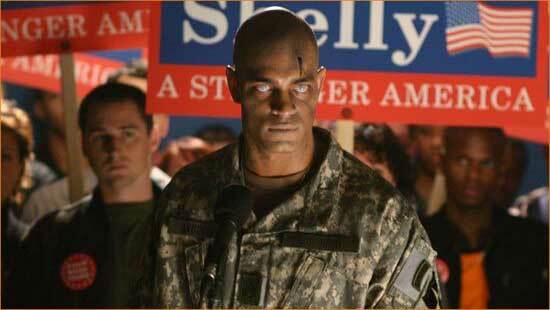 Joe Dante offers some stinging political satire and he does it with zombies. The Bad: It’s not horrible bad, but the end is a little ham-handed. The Ugly: – Thea Gill isn’t much to look at, but she’s playing an Ann Coulter-type. I’m kinda surprised they just didn’t get a guy.